According to a new IDC report, overall smartphone shipments in China have declined by 4% in Q4 2013, which marks the first drop for over 2 years. 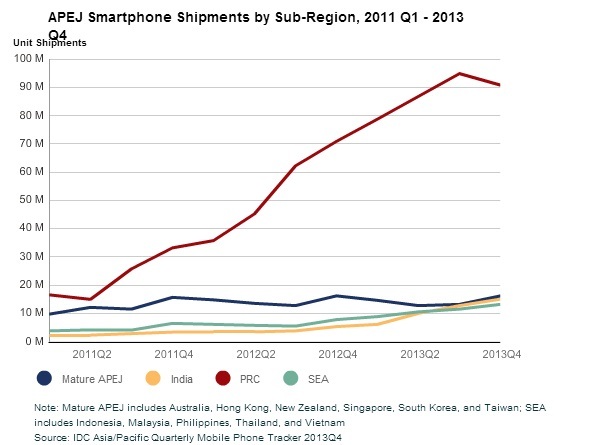 ‘Only’ 90.8 million smartphones were sold during the last quarter, by contrast to the 94.8 million shipments in Q3 2013. After nine successive quarters of growth, world’s largest market faced its first drop of 4%, but there could be some other logical explanations rather than statements that smartphone’s revolution in China has peaked. World’s largest carrier China Mobile has recently switched to 4G but there are not many compatible devices available in the market. Shipments in the current quarter could be affected by the launch of 4G, as many smartphone manufacturers are going to release 4G capable models for the Chinese market. 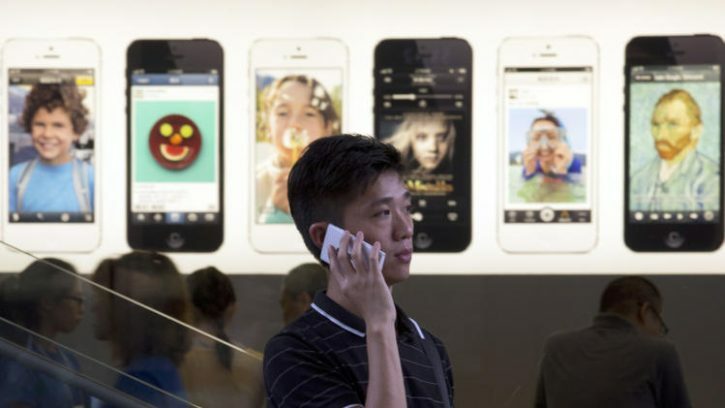 Another reason for the market drop could be the increased smartphone adoption in the country. Many people already have a smart device which influences the market patters and demand. IDC concludes however, that the Chinese market will continue to grow in the near future, influenced by major deals such as China Mobile /Apple. At the same time, many users will migrate from 2G / 3G capable devices to phones supporting the faster 4G/LTE networks. As Chinese market matures and some specialists predict it has peaked, local Chinese companies such as Lenovo are starting to explore international waters. Lenovo recently bought Motorola from Google, while Huawei is now the fifth largest manufacturer in the world. Unlike China, the other major Asian markets are growing. India, as world’s third largest market keeps growing at a steady rate, driven by low-cost local manufacturers.